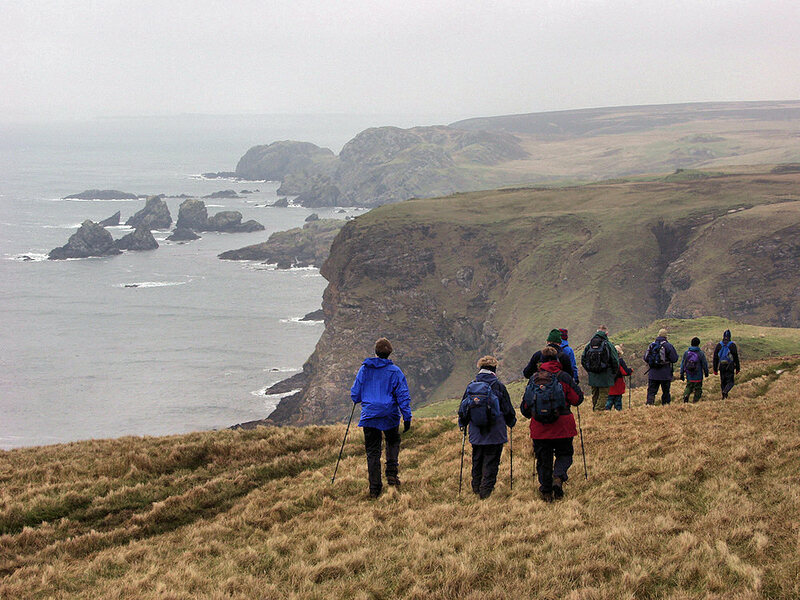 A picture from an Islay walking week many years ago (the walker on the left is my late mother), walking along the impressive cliffs of the Oa just north of the American Monument. While it was cloudy and hazy the cliffs still look mightily impressive. This entry was posted in Cloudy Weather, Landscape, Repost, Sea Loch and tagged Islay, Loch Indaal, The Oa by Armin Grewe. Bookmark the permalink.